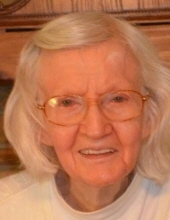 Dorothy Howard Kidd, age 87 of Carrollton, Georgia, passed away on Monday, April 8, 2019 at her residence. She was born September 18, 1931 in Stephens County, Georgia, the daughter of the late George Lester Howard and the late Pearl Pitts Howard. In her working career, she was employed in a clothing factory, worked in childcare, and sat with the elderly. She was a member of Roopville Baptist Church. In addition to her parents, she was preceded in death by her husband, Nelson Huff Kidd; son, Jimmy Kidd; brothers: Verner Howard, Fred Howard, Coy Howard, Roy Howard, and Lee Howard; and a sister, Floy Howard Kidd. Survivors include her daughter, Trudy (Wayne) Perry of Carrollton; daughter-in-law, Julia Kidd of Roopville; sisters, Hazel (Melvin) Jackson of Gainesville; five grandchildren: Kevin (Mandy) Perry of Sardis, TN, Chad (Denisha) Perry of Carrollton, Chris (Jana) Kidd of Carrollton, Cameron Crosby of Carrollton, and Chase (Angelica) Crosby of Canton; five great grandchildren: Michael (Holly) Ethredge of Lexington, TN, Paisley Perry of Carrollton, C J Kidd of Carrollton, Hunter Kidd of Carrollton, and Camden Crosby of Carrollton; two great, great grandchildren: Wesson and Maverick Ethredge of Lexington, TN; and nieces and nephews. Services will be conducted Saturday, April 13, 2019 at 4:00 PM from Martin & Hightower Heritage Chapel Rev. Mark Haney. Eulogies will be presented by Rev. Kerry Cook and Rev. Cecil Davis. Pallbearers will be Chad Perry, Chris Kidd, Cameron Crosby, Chase Crosby, Benton Wilson, William Howard, Tony Howard, and Greg Howard. Interment will follow Roopville City Cemetery. The family will receive friends at the funeral home on Friday evening from 5:00 PM until 8:00 PM. In lieu of flowers, memorial contributions may be made to the Muscular Dystrophy Association at www.mda.org/. Messages of condolence may be sent to the family at www.martin-hightower.com. Martin & Hightower Heritage Chapel has charge of the arrangements. To send flowers or a remembrance gift to the family of Dorothy Howard Kidd, please visit our Tribute Store. "Email Address" would like to share the life celebration of Dorothy Howard Kidd. Click on the "link" to go to share a favorite memory or leave a condolence message for the family.